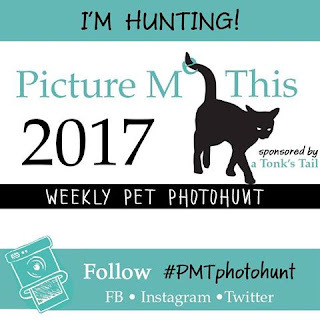 We are joining the new blog photohunt, hosted by A Tonk's Tail. Today's theme is crusty, and we provide the perfect example of a crusty ol' girlcat here, complete with eye gunk, hehehe. Aww, we love this beautiful girlcat and all her "crustiness"! We protest the use of my beautiful Aila in such a unkind way. 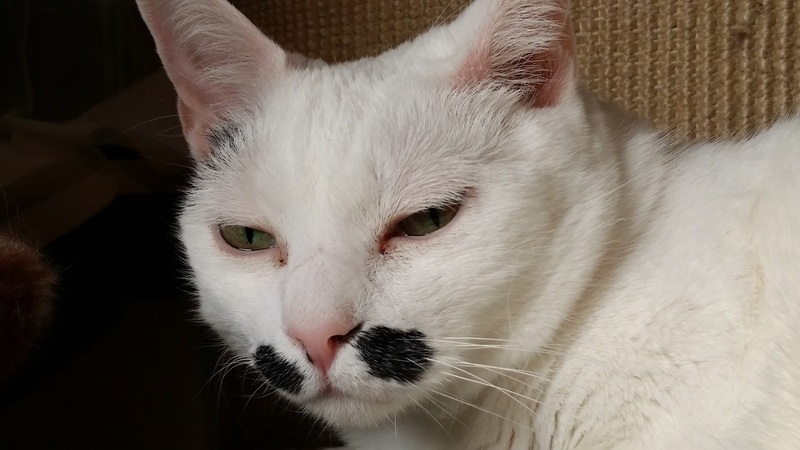 The police will arrive shortly to arrest you for your disrespect of this most lovely creature. You have police there, right? Cause I will be calling them. I could send you a photo of Patty O'Malley...his crusty is at the OTHER end, if you know what I mean! Faraday feels your pain, Aila!!! Heeee! Now I'm finkin of crusty ideas . . .
.... We were first surprised that you participated in blog hops, but we do see why now.